Down stairs from Stone & Water Supplement Space, director Mr Park has opened the Lizard Cafe. 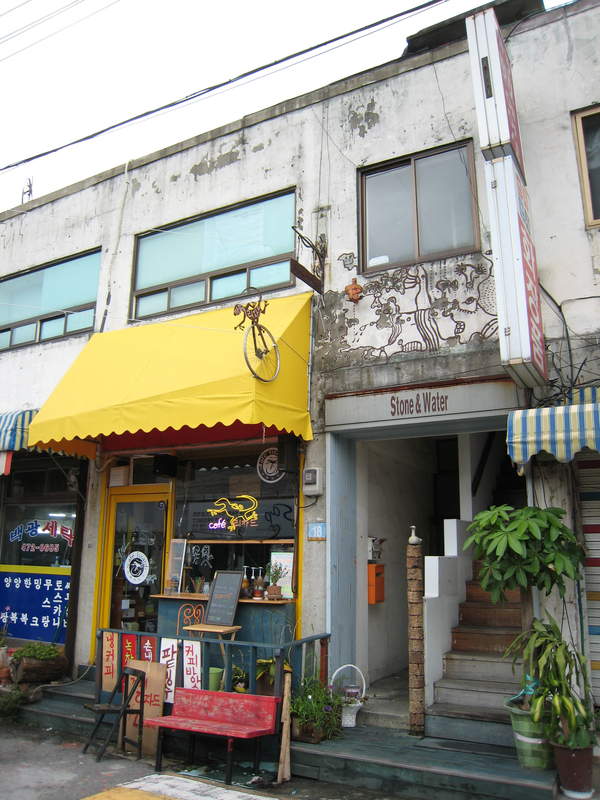 The name of the cafe comes from the motif used for the Anyang River Project “Flow”, 2004. It was pick to be the motif because the river from an aerial view looks like a lizard. Inside the Cafe there is a small library where one can find lots of info on previous initiatives around this area and interesting projects around the country. 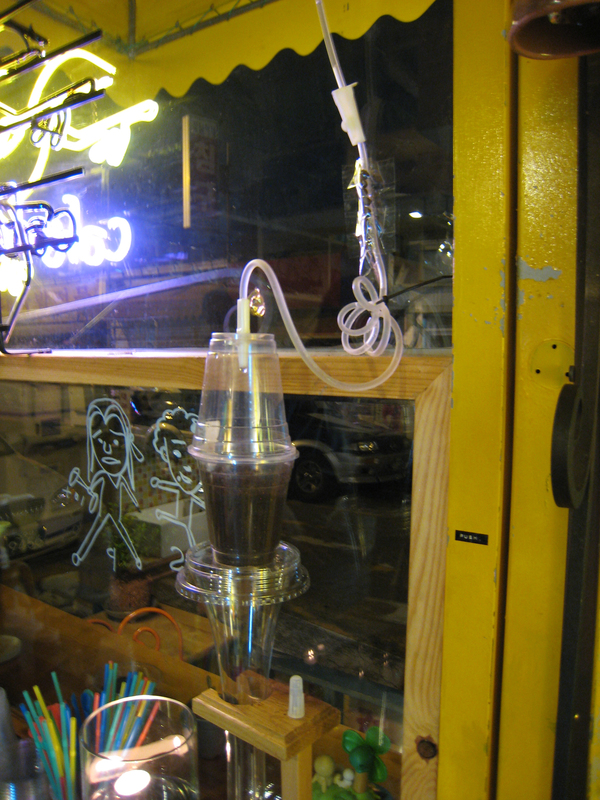 The cafe has a famous coffee, invented by Mr Park himself, the Dutch Drip is made using a medical drip over a period of 10 hours. The Coffee is served cold with ice. It was my welcome drink when I first arrived here. A perfect substitute for flat whites in Korea’s August heat. 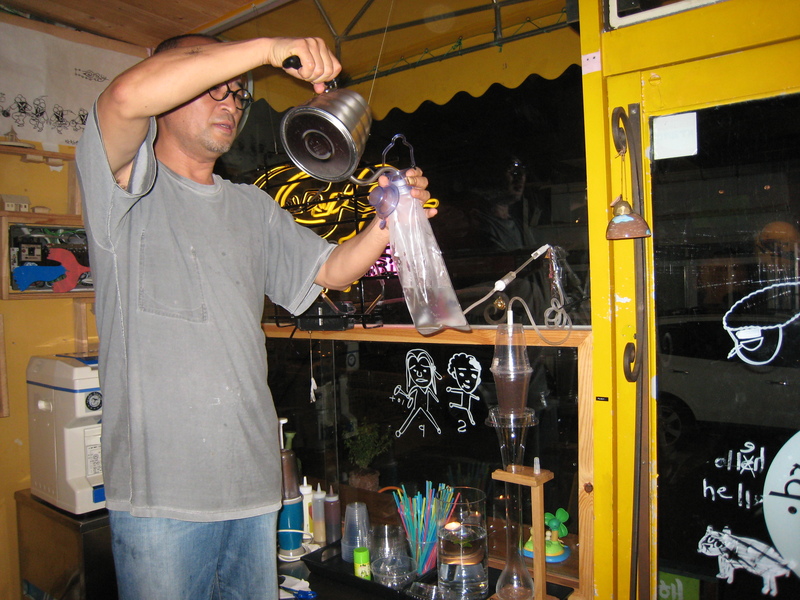 Above: Mr Park making the famous Dutch Drip.